If you really want to make theirwedding unique and very original, you just need to be involved in its design. You can not ignore the different little things, such as selecting and serving wedding table decoration of the hall. 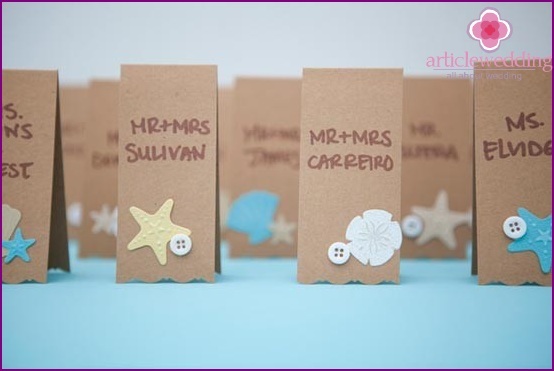 Website www.articlewedding.com offers to participate in the creation of wedding accessories with their own hands. This creative approach will allow you to plunge into the atmosphere of preparation for the holiday, the contribution which you make yourself. 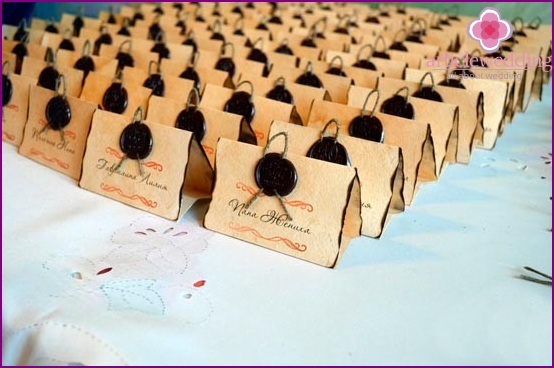 You and the guests will be very pleased to see the wedding handmade accessories. This work will allow you to express your individuality and express their feelings. 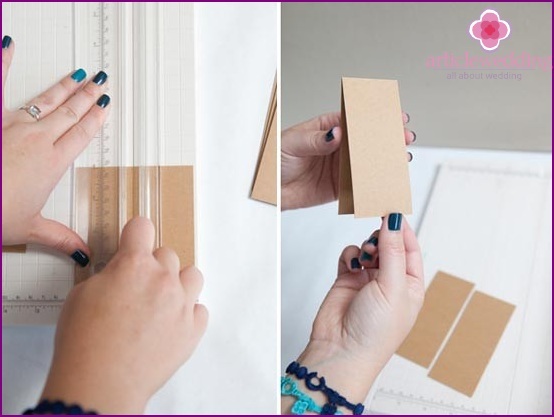 In this master class, we teach you how to quickly make a luxurious seating cards for your guests! Everything you need to make them, you can find in stores. 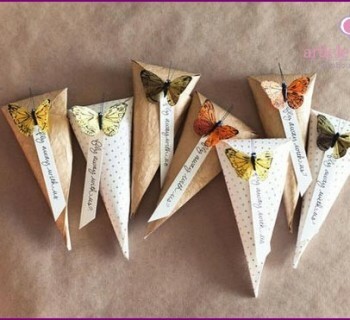 However, you can not find ready-made products, please follow the instructions and make the cards with us! 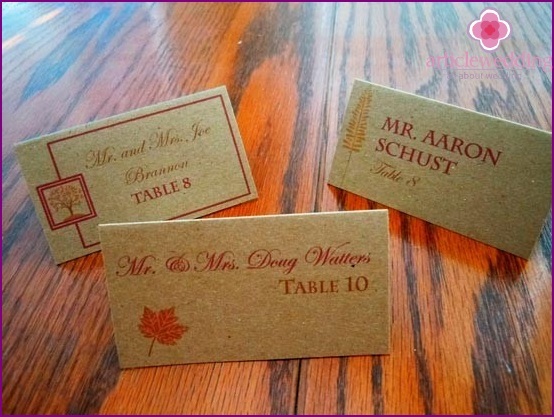 With the manufacturing of cards for guest seatinghandle every bride, it's so easy! 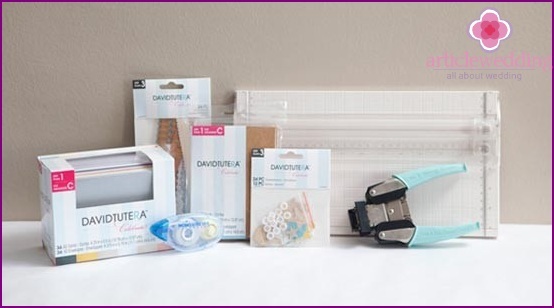 Select the appropriate color and theme of materials and tools and get to the creative and interesting work! It is best to buy whole sets in one product to match each other in style. For starters take a greeting cardwe cut it into three equal parts. Use the ruler to the edge of the cards turned out smooth, and do cards have the same size. 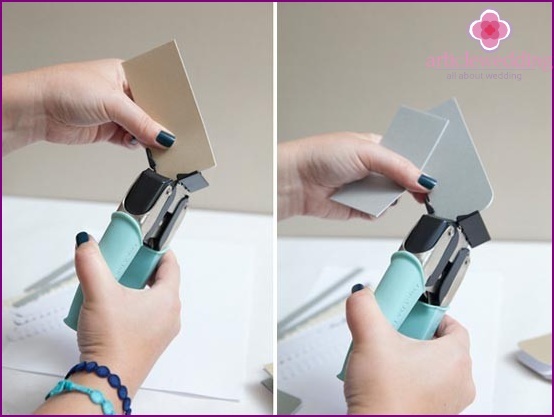 Using decorative scissors to create a beautiful pattern on the edges of the cards. We now move on to decorating. 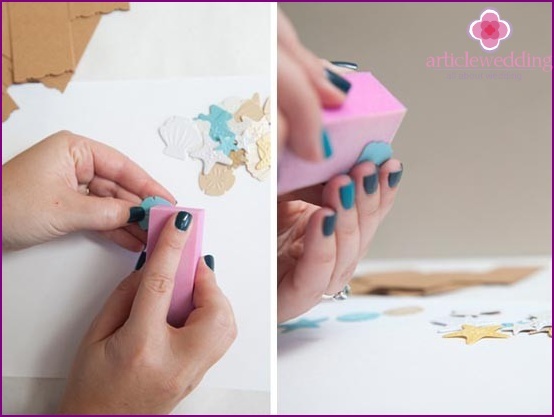 Jewellery that we use in our master class, can be sanded so that they change color. 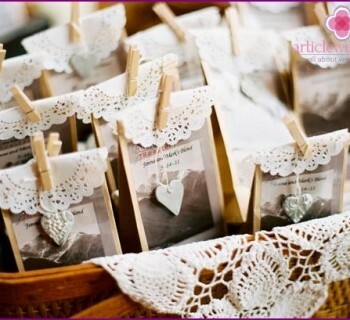 Choose decorations according to the theme of the wedding. This may be a marine style or a fruity style - you decide. 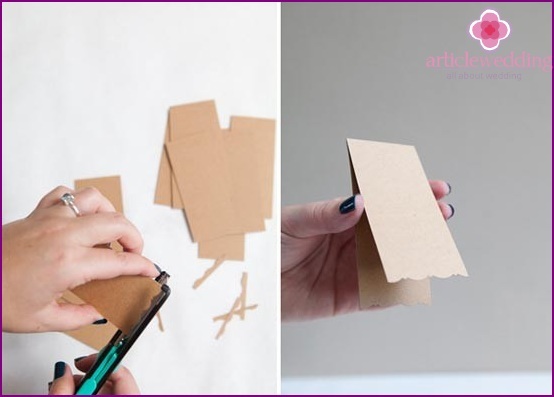 Glue to decorate the cards with adhesive tapeor double-sided tape. Use a variety of jewelry, accessories to look fresh. 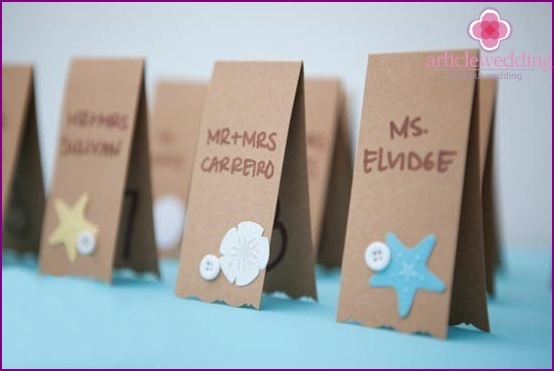 With the marker write on cards the names of the guests, and put down in numbers. Thus, we get a wonderful accessories! 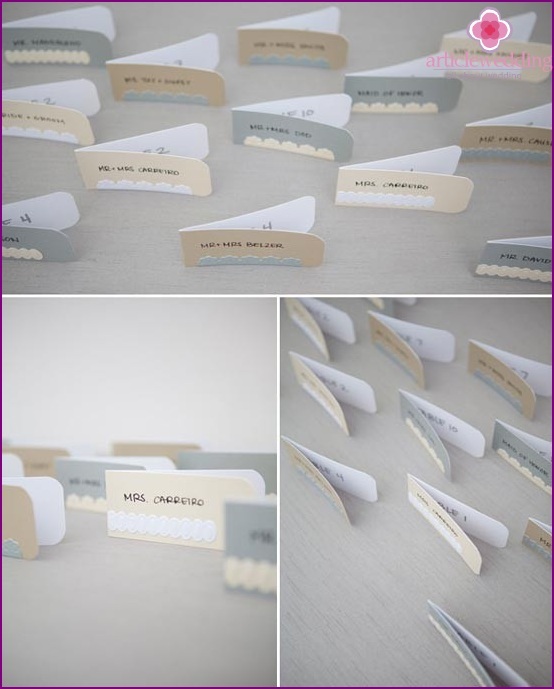 There is also another method of makingpersonal cards for guests. For that you also need to cut a birthday card in three parts. However, in this case our cards will lie horizontally. With press cards make smooth rounded edges to give it elegance. 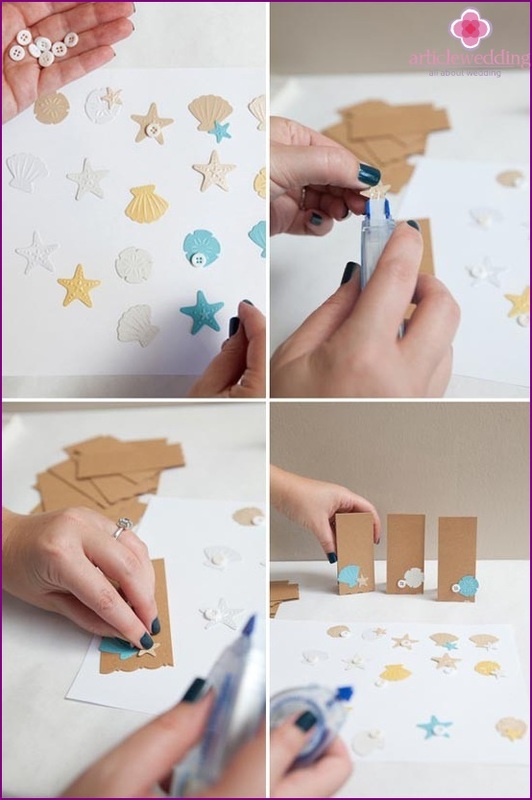 Decorate cards decorative volumetricstrips, to give them a delicacy. Sign the card - and they are ready for use. Beautiful, stylish and elegant! Horizontal or vertical cards look very harmonious and fit into any design. 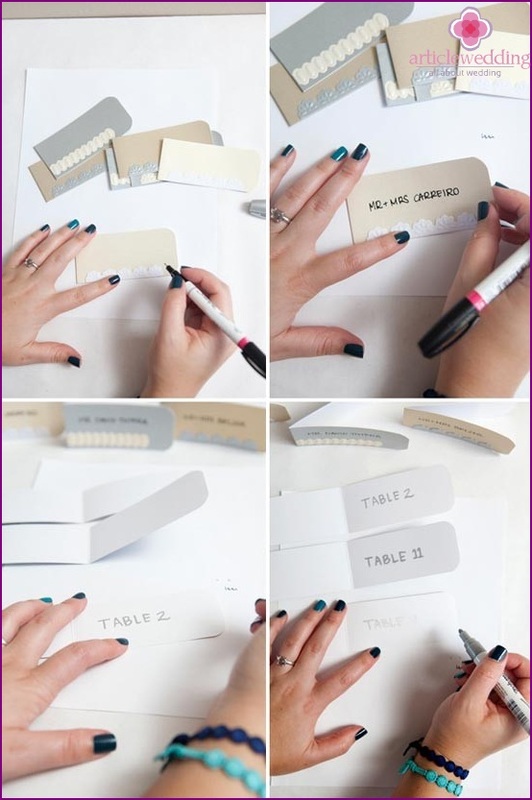 As you can see, there are many options likeit is used to create beautiful greeting cards for seating guests. 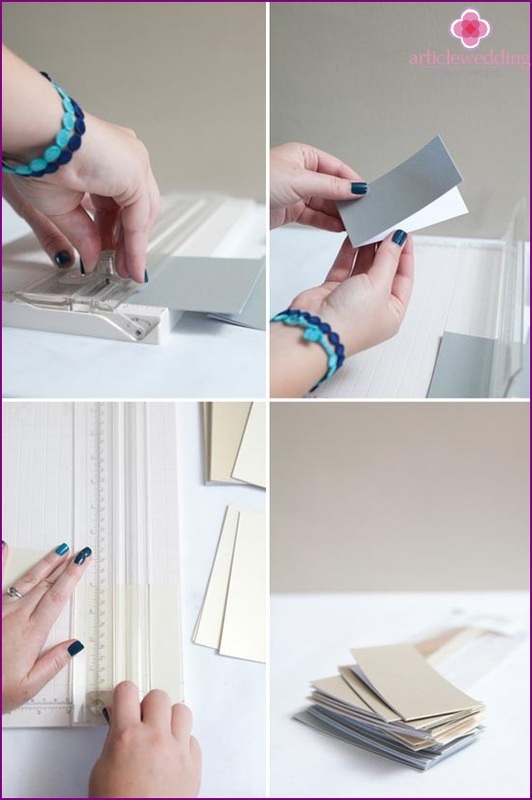 You can come up with a completely new and unusual design that will look very unusual. 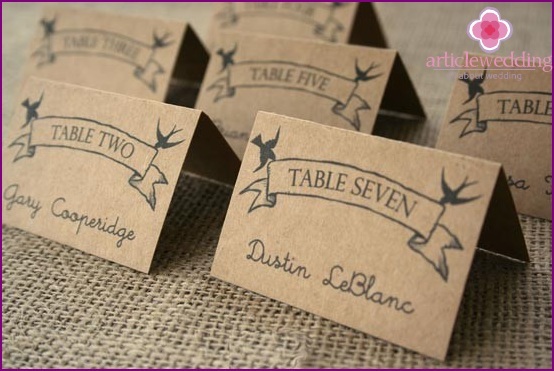 Arrange the finished cards on the tables, so that every guest could find a place in the restaurant. 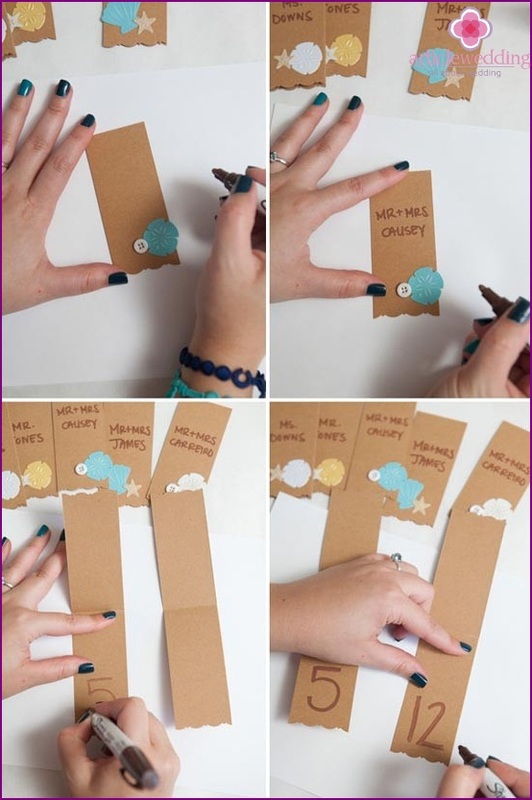 Experiment with color, shape and size of the cards for the guests. Maybe that's your idea will be a real highlight of the wedding? 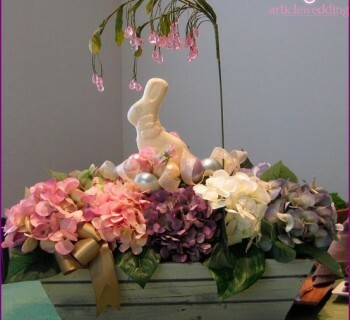 With the help of a wedding site www.articlewedding.com you can embody the most striking ideas. Try and learn tinkering with us!